I can not get enough of matte lip colours at the moment and if they are long lasting, non-drying and intensely pigmented I find it super hard to resist...in fact almost impossible. 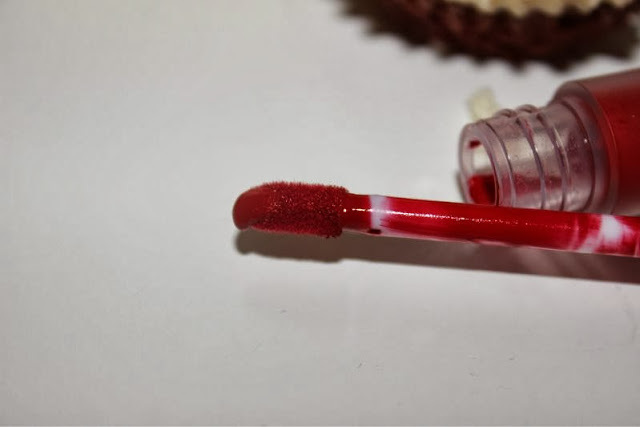 My usual go to formula has to be Stila's Stay All Day Lipsticks but as I have exhausted the entire shade range it was time to find an alternative which I found in Lime Crime Velvetines. The only downside is that at the moment there is only two shades to choose from which are both red. 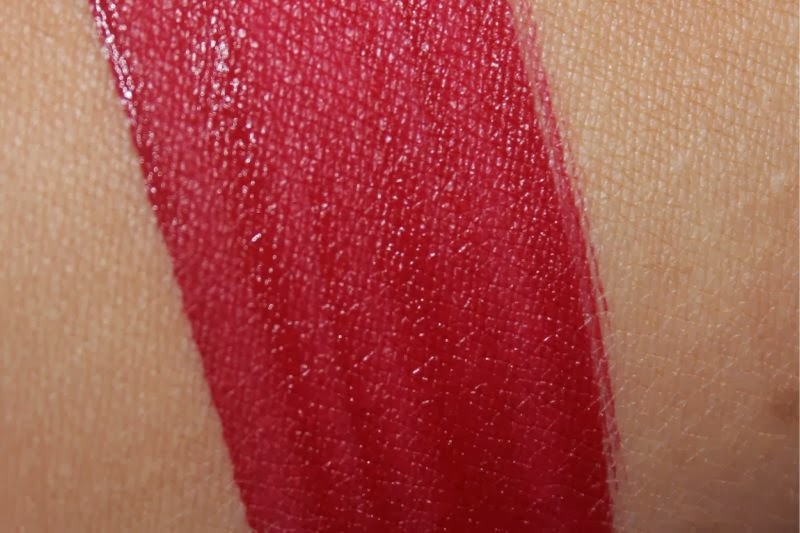 You can read my review of the shade Suedeberry here -link. 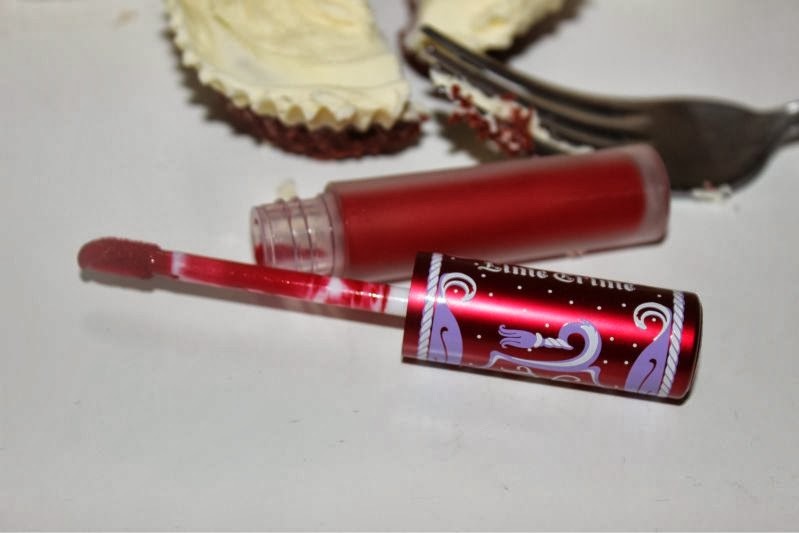 Much like most liquid lipsticks and glosses the Lime Crime Velvetines come presented within a typical lip gloss wand style tube and come with a doe foot applicator which I'm not normally a fan of but when it comes to liquid lipsticks I do find that they work exceptionally well. My only gripe with the packaging as pretty as it may be is that the tube has the same textured as frosted glass, admittedly this will not be a problem for 99.9% of the population (basically everyone bar me ha!) but frosted glass really makes my hair stand on end. 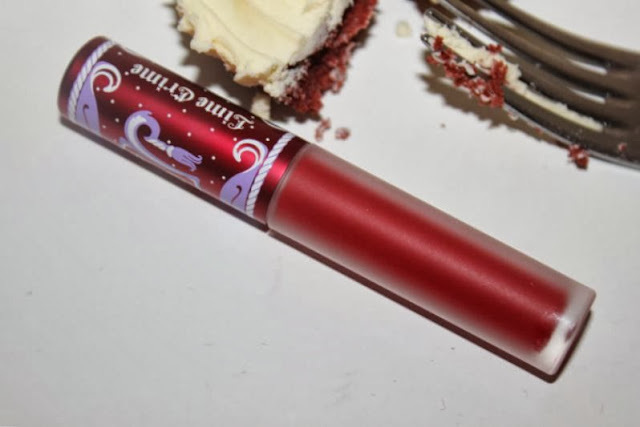 At the moment Lime Crime offer two shades of their Velvetines both of which are variations of red, if you like a true classic and almost vampy red go for Red Velvet and if like myself you prefer softer more orange toned red hues you may want to purchase Suedeberry. 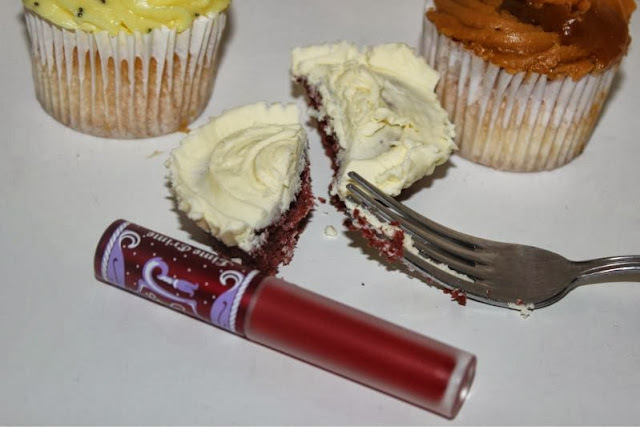 This time around I have Red Velvet which much like the desert of the same name it is a slight brown tinged deep red that is perfect for the Autumn/Winter season or any time at all you want to vamp it up. 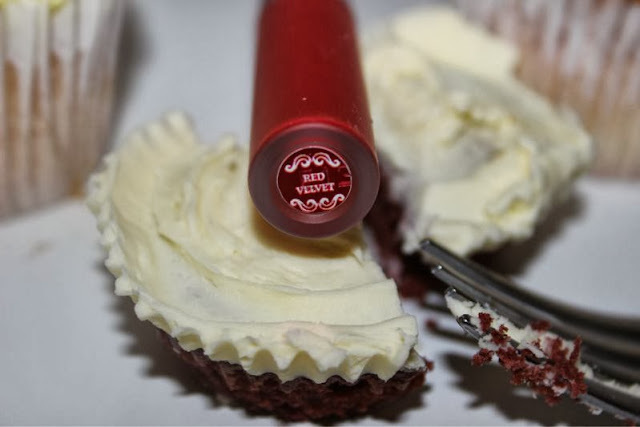 In terms of dupes I would liken it somewhat to MAC Ruby Woo only this is a smidgen deeper. As I mentioned at the beginning of this post the formula and texture of Lime Crime Velvetine's is pretty much identical to Stila Stay All Day Liquid Lipsticks in that both formula's have a velvety smooth texture which dries down to become completely matte and are utterly packed with pigment. I should also mention that the formula reminds me somewhat of Hourglass Opaque Rouge Liquid Lipsticks only marginally cheaper. Basically you have not experienced a lipstick quite so matte or with such intense colour pay off until you have tried either one of these formula's. I do have to be truthful and say that although the Lime Crime formula does tend to stay in place a little longer than the Stila version I do find the former to be slightly more drying. As Red Velvet is a red shade I do recommend teaming it with a liner to prevent bleeding but in my experience once the Velvetine has set it is going no-where!If Lime Crime were to release more shades of their Velvetine's tomorrow I'd be first in line to snap them up, so it is safe to say I am a huge fan. I have both the Velvetines and I love them! they stay on forever. Gorgeous! I really love the frosted glass tube! This is so gorgeous! Love matte lip products. I have both shades - they're the best!! 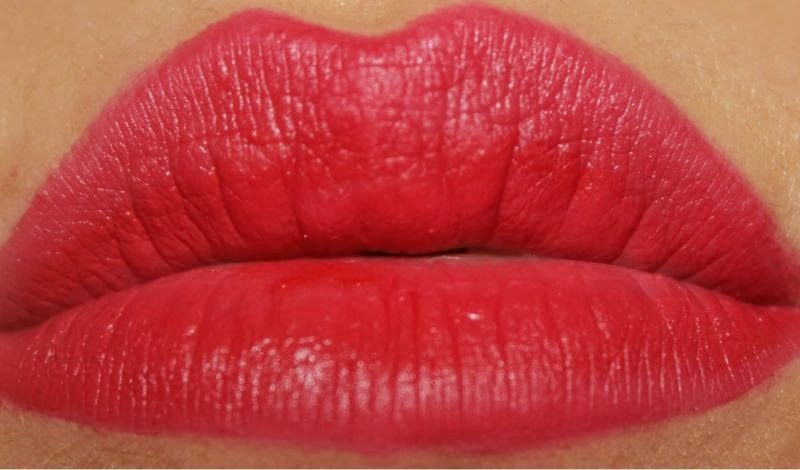 I have always wanted this but after hearing and reading claims about Lime Crime as a company I was really put off, however if I find this cheap enough, I think I'll buy it, just because I don't know whether the dupes of this look the same! It's so gorgeous, perfect for winter. 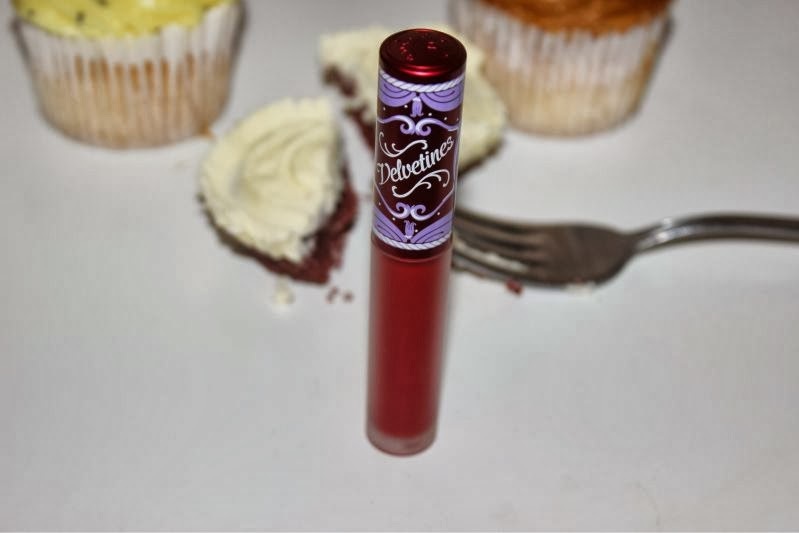 Kat von d everlasting love liquid lipsticks are AWESOME! Backstage bambi especially! Def recommend.